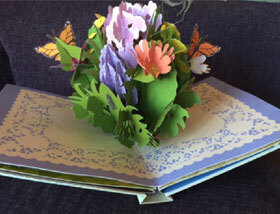 I used to have to use the idea of a pop-up book to convey the development of the initiative. I had to continually remind people that this initiative did not emerge fully formed from the RFA process. Now, though, it is more like a puzzle where, as each piece is fit into place, the others fit more easily and the big picture is beginning to become clear. To really understand how we think about leading this initiative, you might want to listen to a Ted talk by Linda Hill called “Collective Genius.” She describes the kind of work we are doing as “messy.” I think that, to do this right, it’s going to still be messy for a while! On a personal note, I find it interesting that when I travel and meet so many people across the state, I am often greeted with, “Are you OK? Poor dear…” This is a crazy job with so much to keep track of—and it can be overwhelming at times—but for those of you who worry about me, I am fine. I am working with some fantastic people both on our team and at the colleges. We are hearing a lot from you all about how excited you are to see some attention and funding being paid toward our online education efforts. 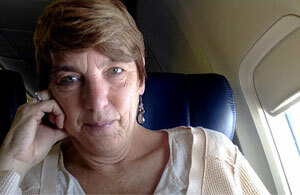 Earlier this month at the OEI Town Hall, Howard Story said, “This is so great. I have never seen anything like it in our system!” I agree and am so excited to do this work. When I see the pieces start to fit, I know what this will someday mean for students who need access to great education in order to complete their goals. We have long history of focusing on what works for students in our CCC system and a lot of knowledge of how to do online education right. I love working with you all for the benefit of our students. As we have seen throughout the project, as a result of our pilots, some things develop and solidify and other things adapt and change. This month I will be telling you about both types of initiative components. It has taken many, many months of work by the Common Course Management System (CCMS) Committee members, however, the time has finally come for colleges within our system to consider adopting a CCMS. The OEI will facilitate the use of and subsidize the cost of the Canvas course management system for colleges choosing to adopt it. Seeing these words in print here causes me to tear up a little! We have thought about doing this since the early days of the California Virtual Campus and I want to thank everyone who has worked so hard to get to this moment. In the Academic Senate for CCC paper, Ensuring Appropriate Use of Technology in Education, the authors (of which I was one) highly recommended that the decision of whether to adopt a CCMS be heavily dependent on what the faculty want to use in their teaching. At the time we wrote the paper, we thought the depth of the tool we were teaching through should be the primary concern. This decision should still rely primarily on the faculty to make, but we also know that ease of use by both the teaching community and the students is a critical component. Online teaching and learning is a challenge for both teachers and learners if the tool used to accomplish the learning is not intuitive, and it can potentially interfere with the educational process. As the Canvas folks say on their website, “It's not worth much if people don't use it.” Include your students in the conversation wherever it makes sense to do so. We chose Canvas both because we liked it and because our students did, too. We’ve put together a resource site at tinyurl.com/OEIresource to assist colleges in the decision-making process. Please see this TechEDge article for more information. Planning and implementation of resources for the summer pilots are underway. Tutoring: There are 15 colleges implementing the tutoring resources from Link-Systems International this summer and the work of integrating them is going on now, led by Jory Hadsell and Barbara Illowsky. Readiness: We have had to make some timeline changes for the online learner readiness tools. We are working to ensure that the modules are fully compliant with the new WCAG 2.0 AA accessibility standards that will become effective July 1, and they are not ready yet, as we had hoped. Because we want the modules to be accessible for all students, and because we are moving them to the OEI instance of Canvas, we will have to work through July to complete the revisions before the start of fall classes. We should have the modules available for all colleges by then, as well, via a website. Full Launch: The full-launch pilot classes will begin to be migrated into Canvas starting in May. 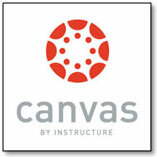 Over the next few months we will be working to provide Canvas training to faculty, as well as assistance in the migration process. Watch for further announcements about this in the next week or so. Exchange/Consortium: This week, representatives from the full-launch colleges’ student services and academic affairs divisions will be meeting to create the pilot agreements and policies that will be tested in January. Once the pilot agreements have been created, the CCC Technology Center at Butte College will work with the pilot colleges’ IT staffs to implement the needed mechanisms for students to work across colleges. Additionally, the consortium will begin to take shape. Plans for the fall pilots are on target at this time. It’s really busy as we begin migrating courses and providing the resources for students within them. The bulk of the work for the full-launch colleges will be creating the consortium and working through the logistics required for the exchange to begin next January. Jory Hadsell, Michelle Pilati and the @ONE staff are working hard to do the required steps for adding further C-ID courses to the pilots. The timeline for the application and revision processes will be available at our May 8 Steering Committee meeting, and reported here in my next post. Peer Online Course Reviewer (POCR) trainings are ongoing with the next two happening on May 1 at Cerritos College, and May 15 at Mt. San Antonio College. These one-day workshops will focus on the OEI Course Design Rubric and are open to anyone from the CCC. The staff of @ONE has been crazy-busy developing the online teaching modules that will assist faculty in meeting the course design rubric standards. They have also been working with the OEI Professional Development Work Group to pilot and then complete the rubric revisions. Course reviewers who were trained last fall are reviewing the last group of 20 courses submitted by the colleges in the first round. Accessibility review is also underway, but is a very complex activity that is taking a bit longer than we expected. It’s so great to be acting the results of pilot work! The tutoring platform from Link-Systems International is available to all colleges for free and the NetTutor online tutoring services are available for a negotiated cost through the Foundation for CCC. The Frequently Asked Questions and Milestones lists have been revised and posted on the OEI website. Whew! Thanks to all of you who have mentioned worrying about me! After reading this, I’m starting to worry, too! I am writing while headed to Foothill College for the Reciprocity Summit, then off to New York City to work with George Siemens and the Digital Learning Research Network (dLrn) grant project. The OEI is one of 10 college/university groups across the nation to participate in this activity funded by the Bill and Melinda Gates Foundation. I’ll tell you all about it next month! Thanks for sharing this update, Pat. We continue to be inspired by the way the California Community Colleges are collaborating to make the most of the OEI opportunity!